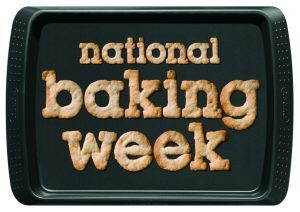 National Baking Week was founded by Pyrex in 2007, to encourage people to bake at home. With baking programmes on the TV such as Great British Bake Off on the rise people are now getting creative and trying out new recipes no matter what level of ability! Baking can stimulate the senses, is meditative, makes you feel and good makes other people happy, so with this in mind why don’t you don your apron, wooden spoon and bowl and bake off for charity. The Howarth Foundation is looking for Angels kind enough to bake some yummy cakes and treats at home to sell to their colleagues, friends, family etc with the proceeds going to our charity supporting the homeless back in to work.If you would like to make a change to someone’s life, please contact Natalie Wells-Jagger by emailing natalie@howarthfoundation.org.uk or call 01274 864999.